We are not Irish in our home. However on St. Patrick's Day - EVERYONE - is Irish. I actually never celebrated this holiday until about 10 years ago. My very Italian Aunt had married an Irish man and every year he would make a nice meal of corned beef and cabbage for her. When he passed the day was sad because of the sweet memories. So we made a tradition of having her over to celebrate. I made her corned beef and cabbage (even though we really don't like corned beef.) She would bring the Irish Soda Bread and I would have Irish Potatoes. This year we will have a little party. I had gotten some hats and stuff last year on clearance at target dollar spot. The kids all have shirts (actually from last year too!) I plan to make cabbage but probably ham steaks because I like those better with it. Jace and I are going to do some crafts and make Irish Soda bread from an easy kit I got at Aldi. 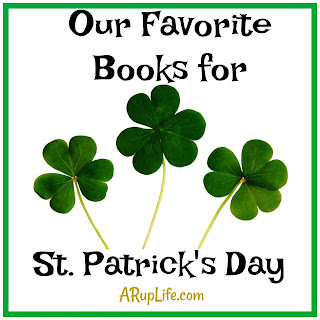 Of course there will be Irish potatoes and lots of fun reading!! I created a Pinterest board with a bunch of crafts, recipes and ideas, feel free to follow and pin a few ideas! Now onto our book choices! This is actually one of the books that is part of Memoria Press curriculum, as is the next!This curriculum has introduced us to so many wonderful books and I'm excited by these two. 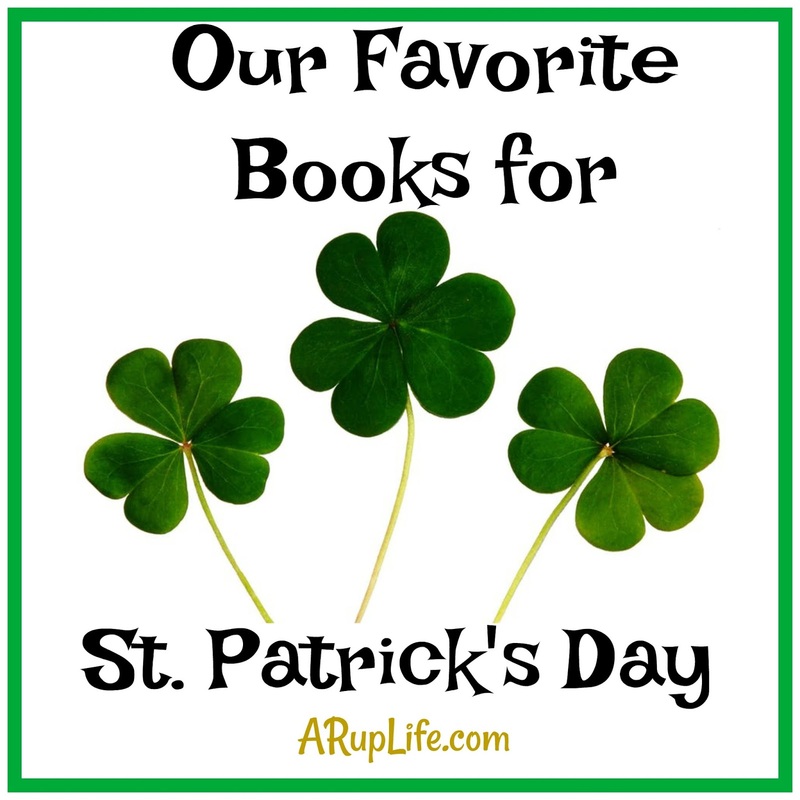 Labels: Children's Books, Read Alouds, St. Patrick's Day!